I have great hope that one day I will get this little blog up and running. I have ideas buzzing around in my head all the time… but I have very little time! I was on another platform but have decided to give wordpress a go, fingers crossed! So many things are going on just now – so many happy, positive things! First of all I was a bridesmaid for my wonderful friends, it was a fantastic experience, the bride and the other bridesmaid are fantastic people – when I hear the saying ‘Friends are the family you choose for yourself’ it makes me think of them and how lucky I am that they have also chosen me too (I say chosen but pretty sure they just have not found a way to get rid of me in the last 12 years!). I may not plan on getting married myself (boyo and I completely committed to each other we just are not getting married) but I truly see that marriage is a very special ceremony and commitment to one another, I thought the day was just fantastic and it was so brilliant to see my friends joy in becoming husband and wife. The same weekend of the wedding we discovered that the boyos house has sold and we are moving! Not a complete surprise as the flat has been up for sale since June – but still a bit of a shock to the system as we had sort of forgotten about the fact the one day we might be moving. So boyo went away with work for a week and I dashed about trying to find somewhere for us to live. I am delighted to say that we’ve found somewhere and whilst the boyo has not fallen as much for it as I have (lack of imagination – just wait until I get it all spruced up and made into our home) it will indeed be (hopefully) a happy home for us for the next two years. Hall now a box storage area, mostly boxes of books! I’m trying not to say too much or get overly excited (I’m failing, sooooo excited) until the sale of boyos place is finalised etc. But we have booked the removal people.. and we have 2 weeks to go… so I think it is happening. Currently our lovely flat looks like a war zone. A war zone where the weapons involved are bubble wrap, sellotape and many many boxes. Debris everywhere! The packing part is definitely not the entertaining part of moving – that is getting all our belongings out and transforming our new place from a house to a home. It is a rental property but I do intend to do some tweaks to the current decor which I hope to blog about someday! 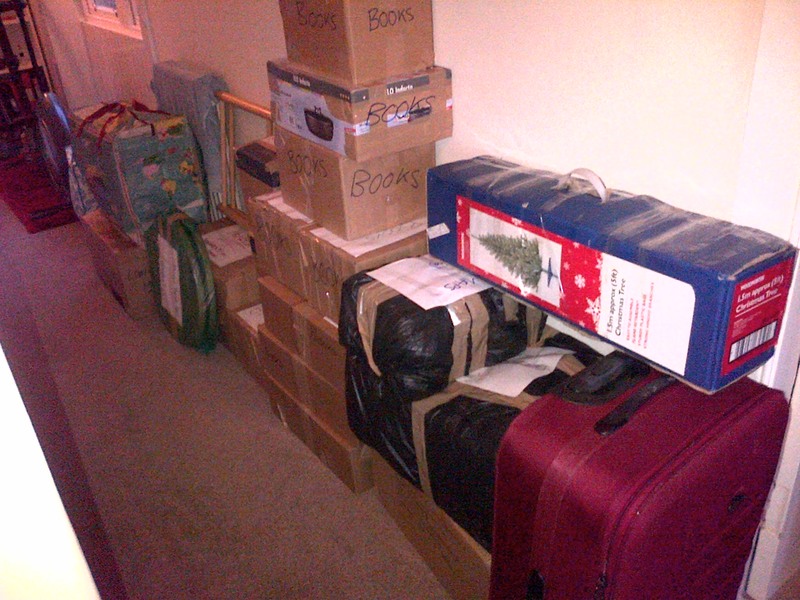 A note about packing – the librarian in me is showing – boxes are labelled with contents and the room they are to go in. Floor plans have been printed out to show removal people and any helpers on moving day where exactly all the furniture is to go. If only I wasn’t so un-artistic I could see this whole interior design being really fun… alas my lack of painting skills and seeing everything a bit squint means it isn’t to be. I’ve bought two new bookcases from a friend as well… my plans of having my own home mini library are slowly coming together! The other exciting plans in our future – a holiday to Hong Kong. I cannot wait! I lived there for two years and it is such a fantastic place. We will be leaving in around 9 weeks for a ten day stay… so many things to do and see and eat! We booked the holiday before we knew we would be moving so it really will be a busy but fun couple of months! 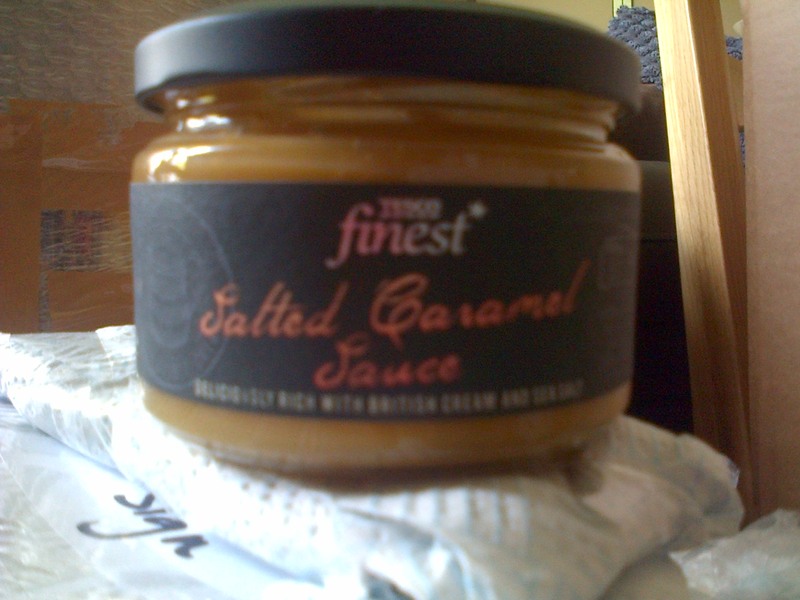 Foodie tip: Tesco are doing jars of salted caramel sauce. Very good indeed! I baked a vanilla sponge cake and used a layer of this and chocolate buttercream as filling between the two layers. Tasty. Equally as good eaten straight out the jar – very naughty! 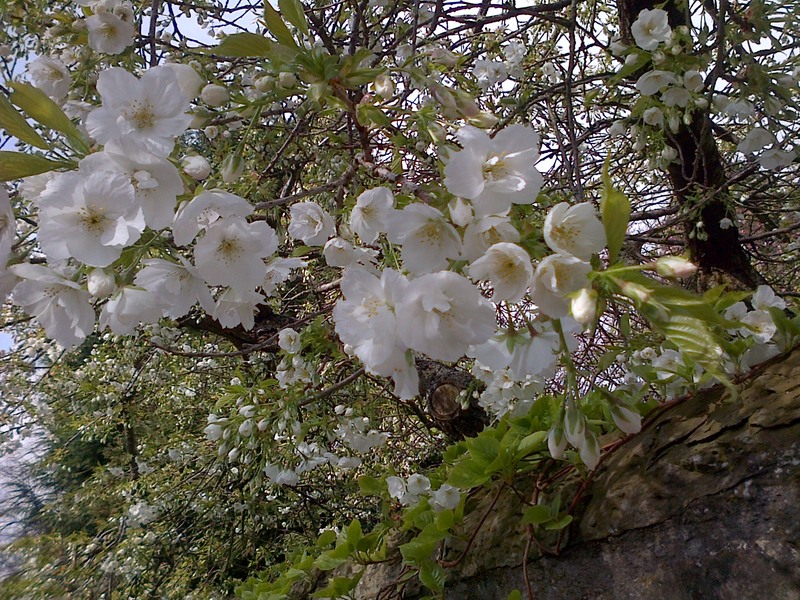 Wanderings: We’ve been so busy that we have not been for many countryside walks recently. 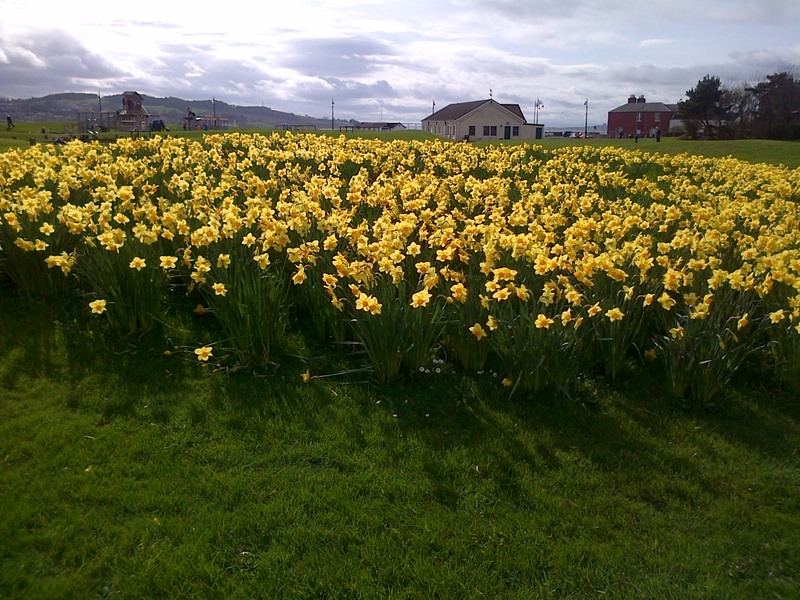 Easter weekend we were free and the sun was shining: Hooray! So we walked Alyth and Loyal hill in Perthshire. We deliberatly chose somewhere a bit obscure as we knew that Dunkeld and Pitlochry would be very busy with the holiday weekend and weather coniciding together. On Easter Sunday we enjoyed a wander in our own little seaside town – we really are going to miss this place – with my sister. Perfect day for ice cream!